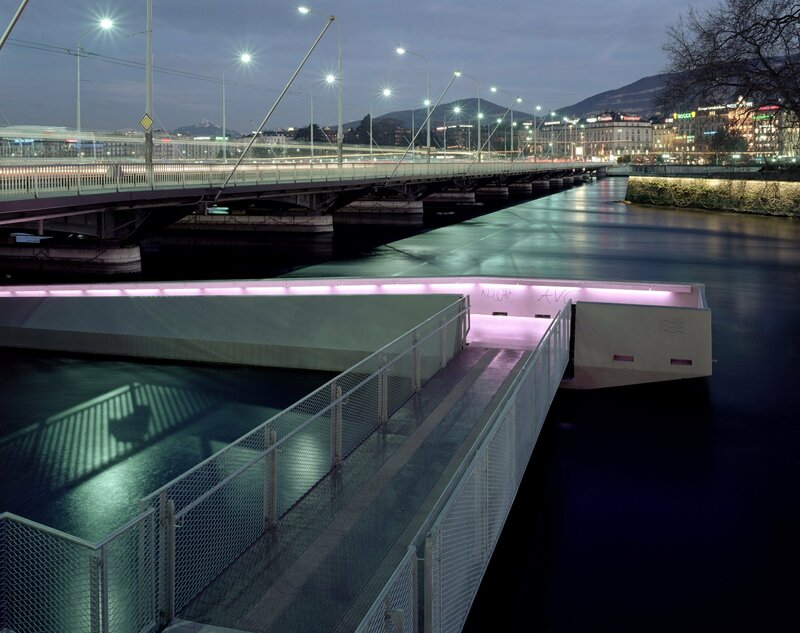 The project is part of an urban reflection launched in the early 1990s under the poetic name “Fil du Rhône” (“In the course of the Rhone”). This major landscaping project, for an area stretching from the Mont-Blanc Bridge to the Seujet dam, was imagined by the architect Julien Descombes and the town councillor Roberto Broggini. 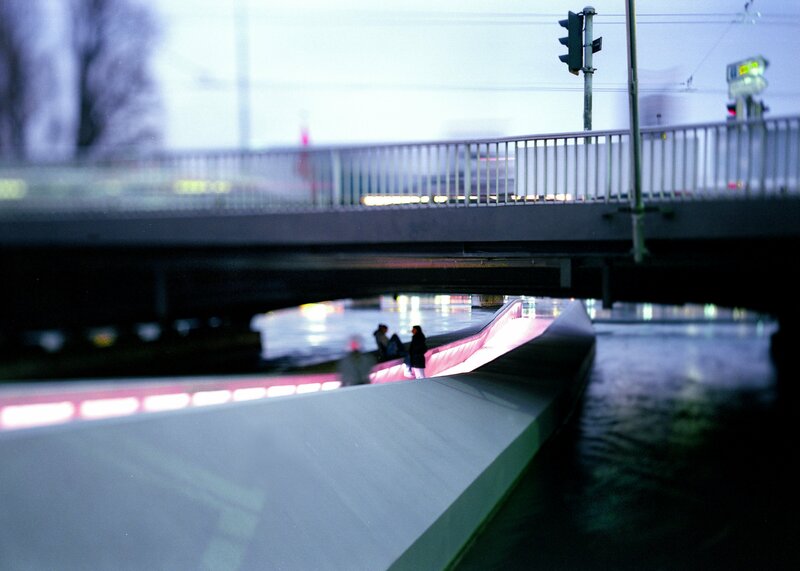 It won the prestigious Wakker prize in 2000. 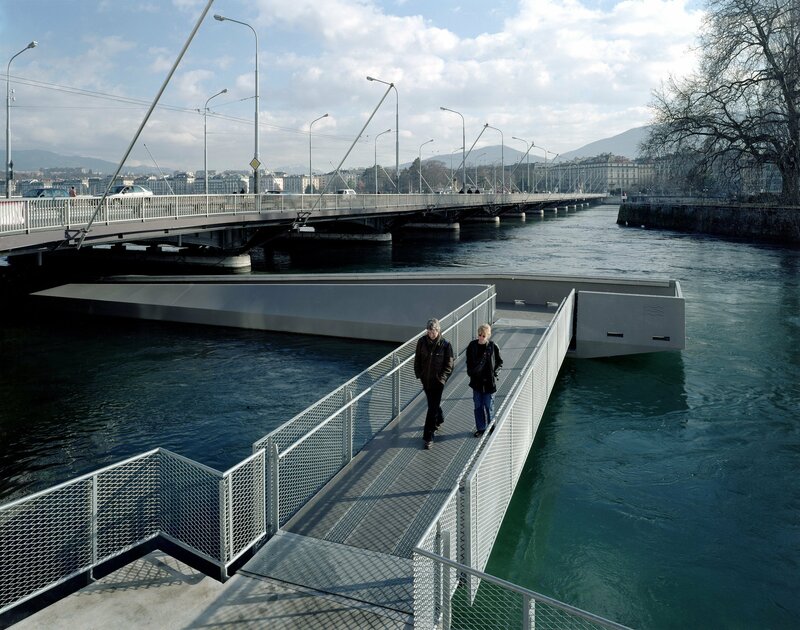 The floating walkway under the Mont-Blanc Bridge was the first element to be completed. 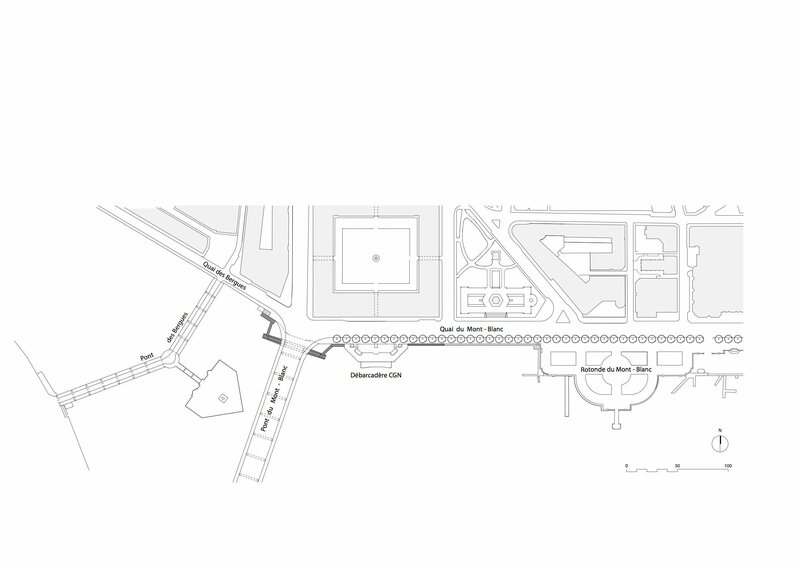 It connects a fragile walkway along the quai du Mont-Blanc to quai des Bergues. Astride the world of building architecture, naval architecture and civil engineering, this strange object slips neatly under the deck of the historical bridge. 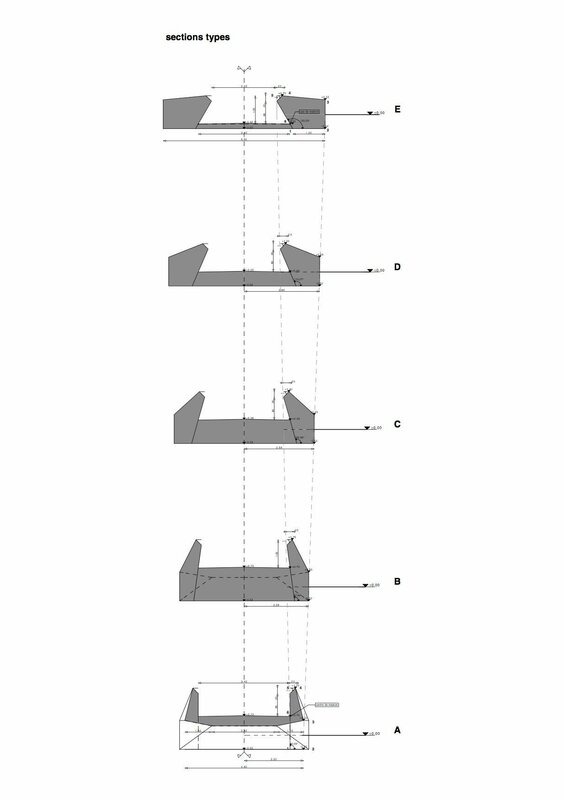 Rather like a metal barge that, as improbable as it may be, has come aground in this place, it is formed of mitre cut metal pieces assembled by welding. 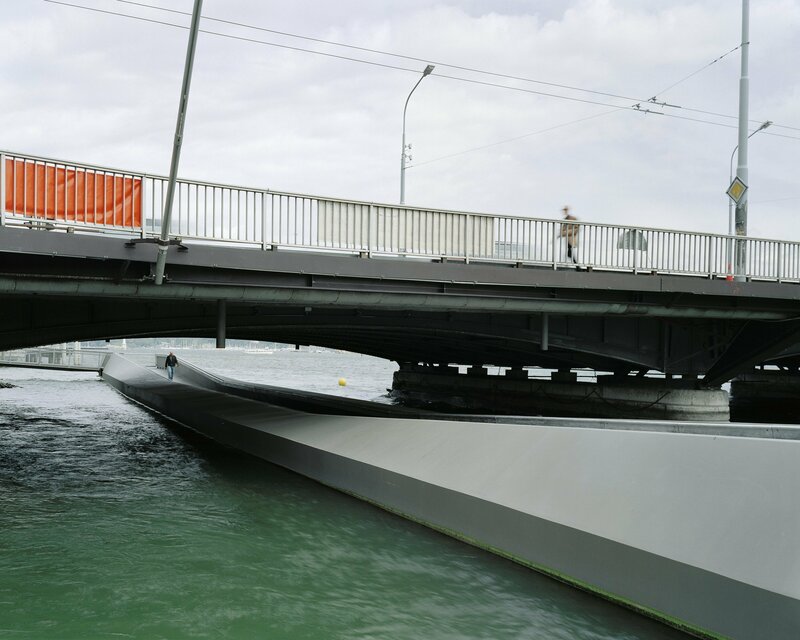 This “floating bridge” has become, over time and “in the course of the Rhone”, an essential element of any urban circuit. The change in sound ambience is surprising as you descend to river level. 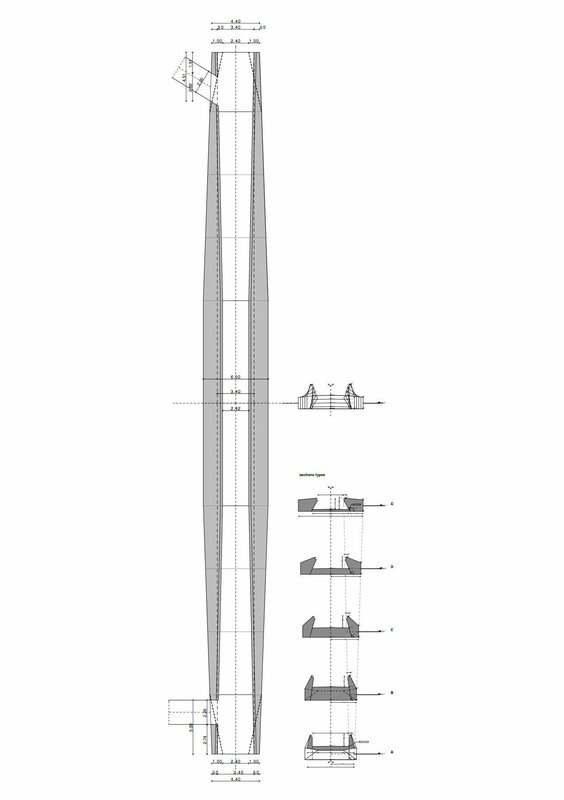 Enclosed in a narrow steel corridor, you are in contact with the lapping water, whilst sensing the presence of traffic above your head, in an unusual inversion. 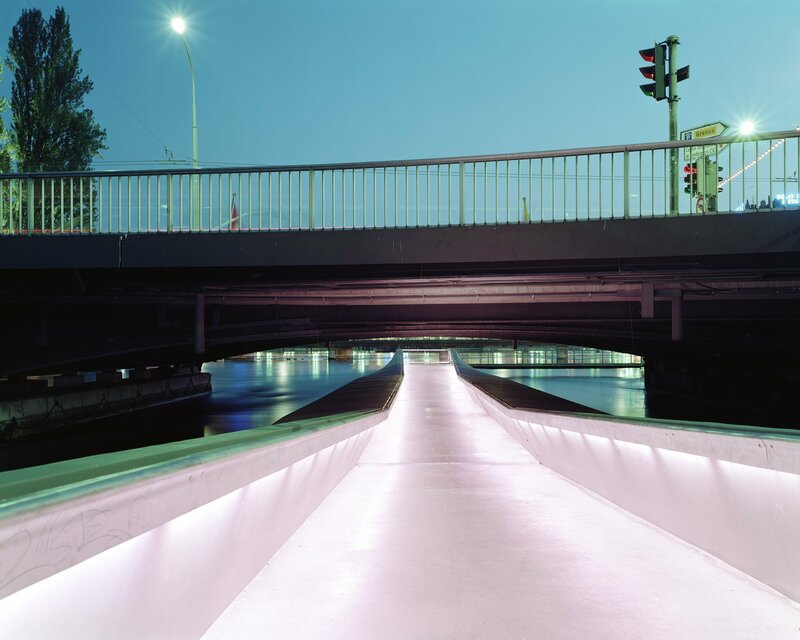 The quality of the night lighting, tinted with warm colours, contributes to the atmosphere of the “under bridge" walkway that Geneva’s inhabitants have definitively made their own.